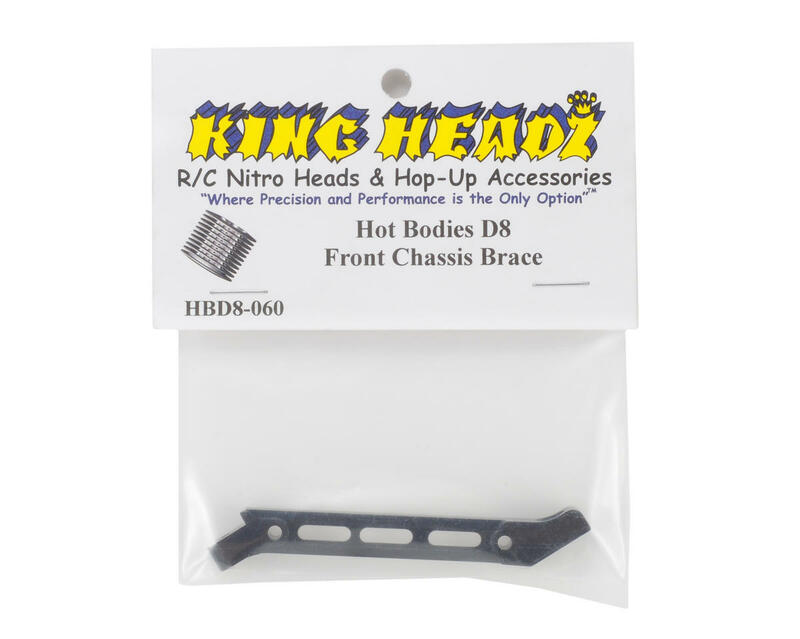 This is a King Headz Front Chassis Brace, intended for use with the Hot Bodies D8 Buggy. 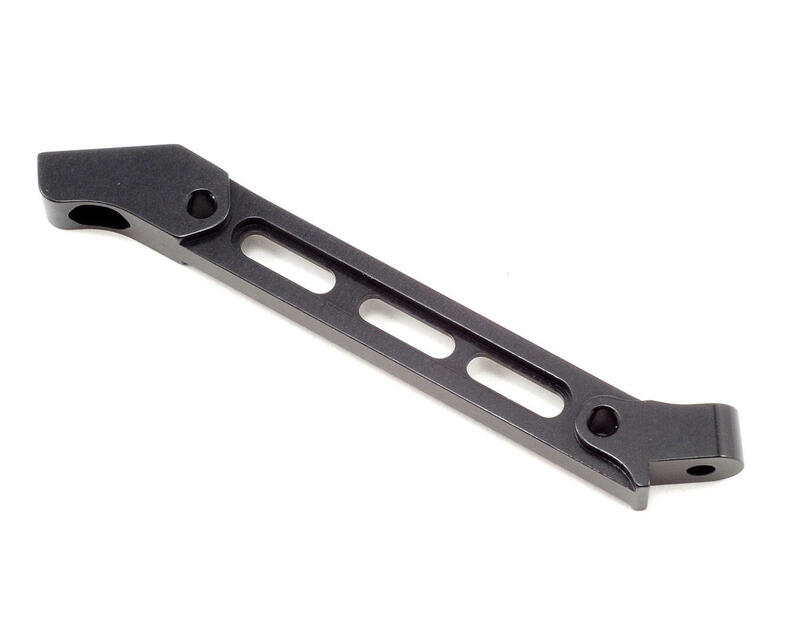 This Front Chassis Brace is CNC machined from 7075 aircraft grade aluminum and is Black Anodized. These are designed to increase rigidity and add strength.